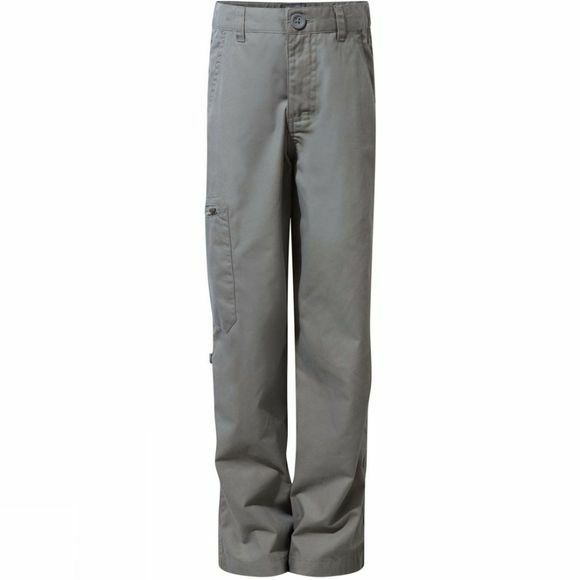 The Kids Kiwi II Trousers from Craghoppers are lightweight trousers designed to offer children protection from the sun and mosquitoes. With Nosidefence technology for keeping the bugs at bay and SolarShield technology for UPF 50+ UV protection, your child can stay safe while out on an adventure. With adjustable waist and DWR finish, they can stay comfortable even if you get caught in a light rain.